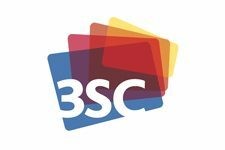 3SC wins and manages public services contracts on behalf of third sector organisations. Using a consortium model we manage the bidding process and build supply chains of local organisations allowing smaller third sector providers to compete for, and deliver large contracts. Whilst charities, social enterprises and voluntary organisations have a vital role to play in the delivery of public services, the size and complexity of the tendering process and increasingly demanding contracts make it difficult for everyone to compete on their own. We manage the procurement process from beginning to end creating innovative solutions utilising excellent local providers through a mutually beneficial consortia and partnership model. We manage the contracts to ensure high quality performance enabling our third sector stakeholders to focus on exceptional delivery. We're proud to create real social change with our third sector stakeholders delivering results for our communities and commissioners.